We make natural, evolution-based foods. Enjoy peace of mind knowing that your pet is eating the optimal balance of meat, bone, and organ to support better dental health, shinier coats, and improved immune function. With no fillers, grains or chemical preservatives, Totally Raw is easy to digest and full of readily absorbed nutrients. All formulas have a limited ingredient list, perfect for pets with allergies and sensitivities. Another benefit of raw: expect less than half the poop production. Poop from raw dogs quickly biodegrades to dust and, even better, your lawn will love it. Pups and kittens need the best nutrition possible to start out on a long and happy life. Raw lets them develop naturally by encouraging slow, even growth that is related to healthy bone and muscle development. By three years of age, most dogs and cats have periodontal disease which is entirely preventable. Dental disease can cause much suffering and severely impact other bodily systems including kidneys, liver and heart. Feeding a natural diet that includes raw meaty bones will keep teeth and gums clean and healthy. Pets should be given weekly raw, non-weight-bearing bones – never cooked or smoked. A clean, pleasant smelling coat is the hallmark of a raw fed pet. When consuming a processed food diet, they will rid themselves of toxins through the largest organ in the body – their skin. The result is a greasy, grimy coat that requires regular cleaning. When a natural diet is provided, the coat maintains its lustre with less shedding. 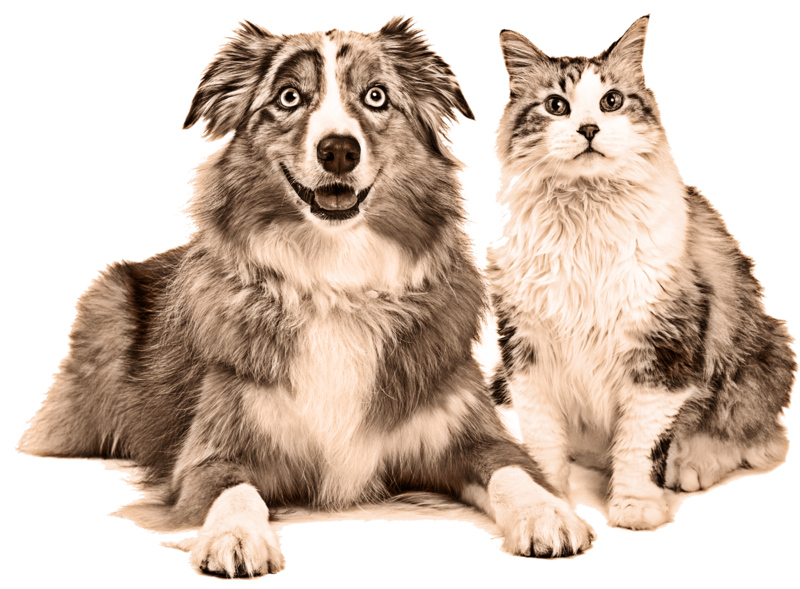 Many pets suffer from allergies and food sensitivities. Allergens are often ingredients like grains, dyes, fillers and preservatives found in dry foods. Switching to a raw diet is often all that is needed to overcome allergies and food sensitivities. It is possible for a minority of pets to be allergic to specific meat proteins. Raw feeding makes it easy to remove these proteins from the diet.